A lot of what is out there about bitcoin, and cryptocurrencies, is dead wrong. You see something in print or on the internet – and you assume it’s pretty much correct. In the case of cryptos, all too often, it’s not. And these mistruths can cost you money… by making you shy away from what I believe is the most exciting asset class in the investment world. Durability: Older, agriculturally-based forms of money had a shelf life. Gold is the ultimate when it comes to durability. Paper notes fall to pieces. Limited supply: A currency is worthless if there’s no scarcity to it. Just consider the 100 trillion dollar note issued by the Zimbabwean government – it’s a simple reminder of what ultimately happens when governments try to endlessly print their way to prosperity. Bitcoin holds all of these characteristics with the exception of acceptability – although that is rapidly changing. 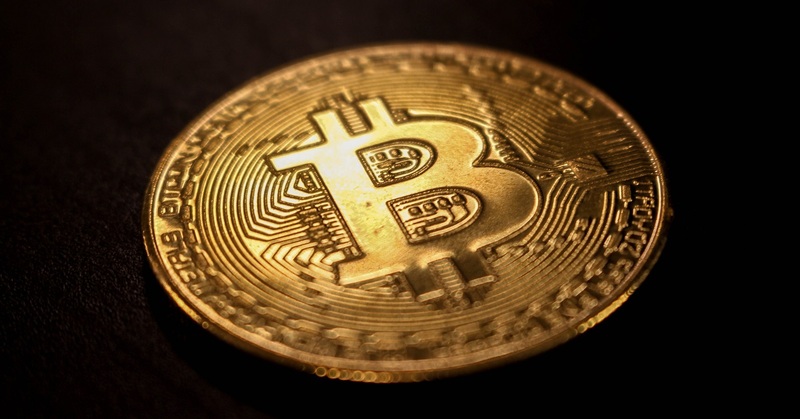 Japan passed a law last year that made bitcoin acceptable as legal tender. And the digital element of bitcoin? Well, more than 90 percent of all money that exists today around the world is not even physical… it’s purely digital, existing only on computer servers. A reclusive millionaire who lives 900 miles from Wall Street and has predicted many of the biggest moves in the stock market is now warning that something’s coming in the next few months that’ll take most Americans by surprise. It’ll determine who gets rich in the coming years and who gets left behind. On October 24th he’s hosting a free event to reveal what’s coming and how to prepare. Add your name to the guest list with a single click here, and we’ll follow up with more information. In certain circles, bitcoin and cryptocurrencies in general are synonymous with hacking – due to some high-profile hacks of cryptocurrency exchanges – like Mt. Gox in 2014 or Bithumb in 2017. In an area so nascent, of course there are hackers looking to exploit individuals’ inexperience, or find technological loopholes. Hackers have always – and will always – be a risk to anything where value resides on a computer network. But bitcoin is one of the most secure assets an individual can own – it’s just that it’s 100 percent up to the individual to secure it themselves. 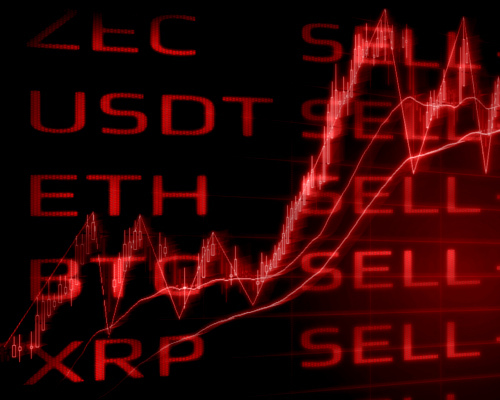 Cryptocurrency exchanges have been hacked. They are third-party platforms where you have no visibility as to how customers’ digital assets are being secured. That’s why we’ve said repeatedly that you shouldn’t keep large amounts of bitcoin on an exchange because when it’s on an exchange you don’t own it, they do. And when it comes to hacking, you are far, far more at risk from other cybersecurity vulnerabilities. Consider that U.S. credit reporting agency Equifax who announced last year that the Social Security numbers along with other personal information of millions of Americans may have been compromised. That’s a quote from a Fortune magazine article. The suggestion that bitcoin’s core use is for buying drugs and extortion is nothing new – and it’s part of the media’s ongoing narrative. It’s understandable in many respects. After all, there have been recent ransomware hack/virus attacks that demand users pay a small ransom in bitcoin to unlock their computers. And who can forget the FBI’s 2013 takedown of Silk Road. Silk Road was an online marketplace used to sell illegal drugs, dirty pictures and stolen plastic. These criminals thought that because bitcoin operated independently of the U.S. government, their activity couldn’t be traced. But they were proved wrong once the government shut Silk Road down, and made an example of this illegal marketplace. You see, it turns out bitcoin is nowhere near as anonymous and untraceable as cash. Bitcoin is pseudonymous. That is to say, a bitcoin address can be tied to a particular user. You may not know who that user is, but that user has an identity. Think of it like a username on a website. You may not know who’s behind it, but that username is tied to a particular person – and their actions are tied to that username. The whole point about bitcoin is that it’s actually transparent. Every transaction is recorded on the blockchain and visible to everyone. It’s no wonder that the U.S. Drug Enforcement Agency Cyber Investigative Task Force reports that bitcoin usage for illegal activity has plunged by nearly 90 percent in the past five years. Yes, bitcoin has been the method of payment by some criminals in the past. But by some estimates, 90 percent of U.S. dollars have traces of cocaine on them from being used in the drug trade and no one is suggesting eliminating dollars. A lot of people are worried about bitcoin because the government hasn’t come out with an official policy about how it should be run. In short, there’s no financial system, like the U.S. Federal Reserve, manging its existence and value. And as a Forbes article “warned”, “there is no ‘good faith and credit’ of the government standing behind the currency”. But think about it… does a government’s promise that something is “money” protect its value? The U.S. dollar can be printed at will… and only has value because the government says so. Plus, more regulation on bitcoin is quickly being established. For example, the U.S. Commodity Futures Trading Commission (CFTC), which regulates futures and options markets, already approved the creation of options trading around bitcoin. And the SEC has come out several times hinting that it will soon begin regulating cryptocurrencies. These moves will only bring additional stability to the bitcoin market, and with it, some new money. But what about in the rest of the world? Last year, China announced a ban on initial coin offerings (ICOs), where companies create and issue cryptocurrencies to the public in exchange for bitcoin or Ethereum (the second-largest cryptocurrency). But China didn’t “ban” bitcoin. And even if a government did want to ban it, the question is “how”? That cat’s already out of the bag. And bitcoin doesn’t answer to any government. There is no bitcoin head office, no CEO, no board of directors. What’s more, there’s no incentive for any major economy to “ban” bitcoin. (Japan, the third-largest economy in the world, made it legal tender. Israel taxes it like property and Estonia wants to create a national cryptocurrency of its own.) Any government that does ban it is simply saying “we don’t want innovation, technology jobs, new companies, or enterprise in general”. Now don’t get me wrong – there is and will be regulation, and there may even be a temporary shutdown of the exchanges. But regulation is a different story altogether. For example, don’t think for a second that Uncle Sam is going to let you make 10x on a cryptocurrency trade and not pay your “fair share” of tax to the coffers. Most people look at bitcoin’s daily price changes and write bitcoin off simply because it’s more volatile than your typical blue-chip stock. But even with this level of volatility, bitcoin delivered better risk-adjusted returns than stocks, bonds, gold and real estate over the past five years. I’m not saying bitcoin won’t be volatile. Like any asset, cryptocurrencies will continue to experience rallies and corrections. But over the long term, the upside is far from over. You just need to proceed carefully. And “invest” no more than you can absolutely afford to lose. As I said earlier, the media doesn’t really understand bitcoin. So what you read in the mainstream media on cryptocurrencies should be taken with a liberal dose of salt. The truth is, bitcoin is a just a cryptographically scarce and secure medium of exchanging value. It’s not a vehicle for criminals or not a real currency. And bitcoin, and the technology behind it – called the blockchain – is quickly changing the world. And it’s just getting started. Being on the outside (and not understanding it) will limit your ability to profit. So if you’re not familiar with it, now is the time to make the effort. P.S. As I said, bitcoin – and cryptocurrencies – are just getting started. And Crypto Capital subscribers could see big gains. For example, the Crypto Capital portfolio is sitting on over a 900 percent gain in one alternative to bitcoin. Crypto Capital subscribers – to make sure you never miss an upcoming trade go here to renew your subscription today. And if you’re not a Crypto Capital subscriber, go here to see how you could start making money in cryptocurrencies with Crypto Capital today.